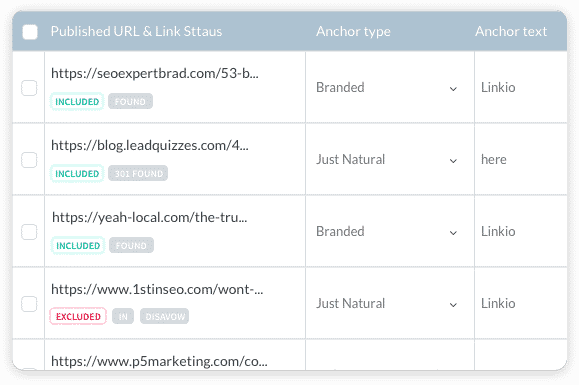 There are 13 different anchor text types that make up an ideal backlink profile. Linkio shows you exactly what anchor text to build next and in what order. 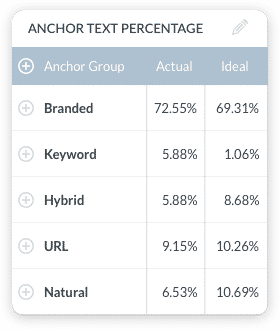 The anchor text percentage to target depends a lot on the specific keywords you want to rank. For example, one keyword may need 30% of the backlinks to have keyword based anchor text, whereas another keyword only needs 5%. Linkio lets you set custom percentage targets based on competitor data, your preferences or our presets and gives you the roadmap for reaching those targets. You can’t know what anchor text to build next until you know what the existing backlink profile is. 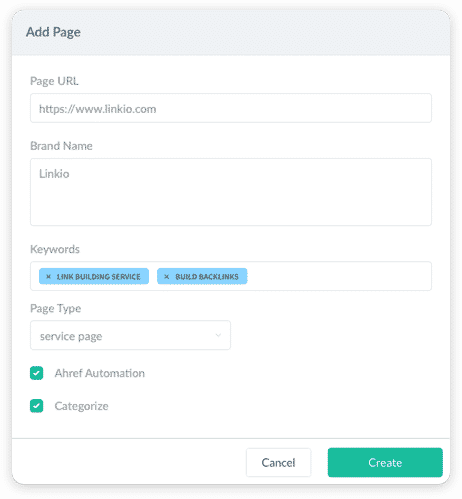 Linkio integrates with your Ahrefs account to get all of the data you need automatically. AND it monitors for and imports new backlinks automatically to keep your data fresh. If you don’t have Ahrefs, you can easily bulk import your backlinks too. 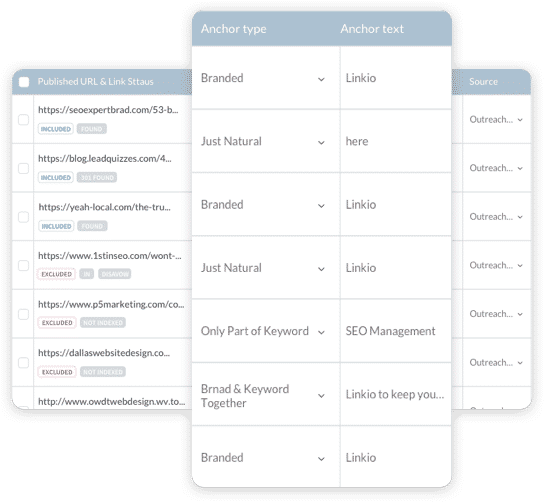 Once you have the backlinks in the system, Linkio’s proprietary algorithm automatically categorizes the anchor text of those links into 1 of 13 categories and gives you the percentage distribution. As the system imports new backlinks, the algorithm works to keep your percentages up to date and accurate. Once we have backlink data in the system, Linkio crawls each link to see which are live and dofollow, so only the links that Google considers valid count to your anchor text percentages. The crawler also periodically validates the links to make sure they are still active. If Google doesn’t think a URL is valuable enough to add to its index, why should we consider that backlink valuable? We shouldn’t. 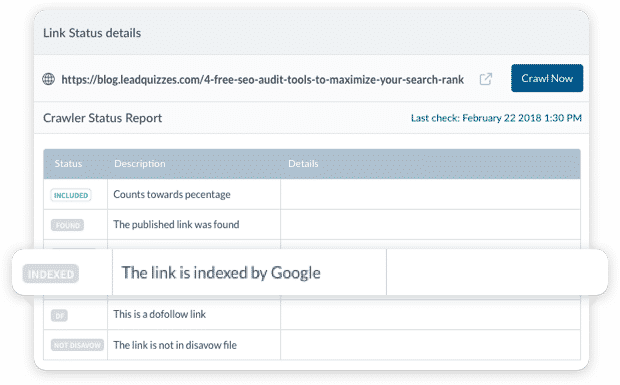 Linkio checks the Google index status of all of your backlinks and only counts the ones that are indexed to your anchor text percentages. Has your website been through a Google penalty? Did you disavow a bunch of links? If so, it makes it really hard to know what your true percentages are anymore. However, Linkio makes it easy. 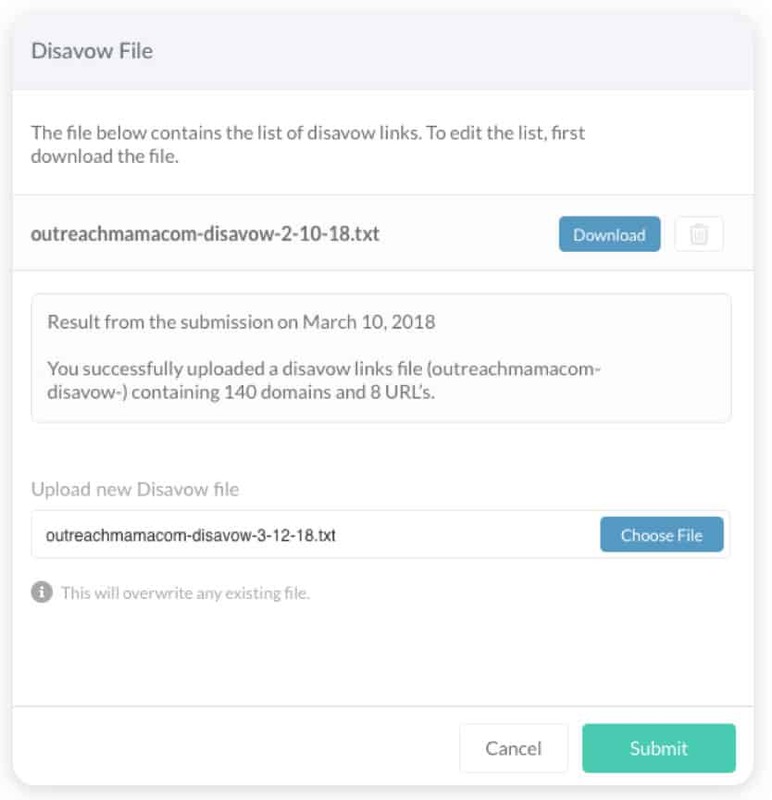 Simply add your disavow file to Linkio and we won’t count any of those links to your percentages. You can invite your entire link building team to the Linkio platform at no extra cost. So if a team member needs to know what anchor text to choose next, they can simply use the tool and avoid having to maintain a spreadsheet.